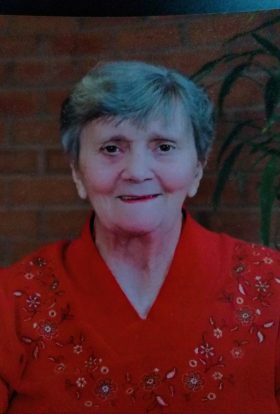 Geraldine (Geri) A. Swanda, 83, of Greenfield Wisconsin, passed away peacefully on Monday, November 12, 2018. Born February 14, 1935 she was the daughter of the late Victor and Alice Peck. She attended Mercy High School and graduated from Milwaukee County Medical Complex School of Nursing as Registered Nurse working many years in this field. She is survived by her husband of 61 years, Edward Swanda; two children, Peter Swanda and wife Kathryn (Katie) and Catherine Julio husband Julio C., beloved sister to Beatrice Zimmerman and the late Virginia Reidy, several nieces and nephews, four grandchildren and six great-grandchildren. Gerry loved to work with her doll house, sew, quilt, garden, go camping and see movies. Special thank you to the staff at Clement Manor for the care of our beloved Gerry. We will hold you in our hearts until we meet again. Always loved, never forgotten, forever missed.